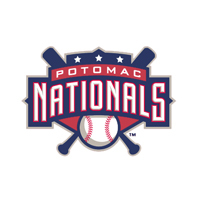 The Potomac Nationals (45-58) could not complete a five-run comeback against the Myrtle Beach Pelicans (56-48) and lost 5-4 on Saturday night at Pfitzner Stadium. Trailing 5-0 in the seventh, Potomac plated four-runs in the frame but could not plate the tying run from third. Four different P-Nats drove in a run while RHP Mariano Rivera III tossed 2.1 scoreless innings in the one-run defeat. Myrtle Beach began the scoring with a run in the second, third and fourth innings against RHP Joan Baez (L, 1-7). The Pelicans plated the first run in the second on a sacrifice fly from RF Robert Garcia. A RBI groundout by 2B Trent Giambrone scored the second run in the third. LF Eddy Martinez’s 13th home run made it 3-0 after four. Baez’s first start with Potomac since June 1st lasted just 3.2 innings in his return from the GCL Nationals. The right-hander struggled with his control all evening, walking seven in his return. Baez tied a season-high in walks allowed while allowing three runs on three hits in his seventh loss of the season. Rivera III was very impressive in relief of Baez. Taking over with two outs and two on in the fourth, the right-hander allowed a walk before recording a strikeout with the bases loaded. Rivera III registered three total strikeouts in 2.1 innings of scoreless relief. The Pelicans piled on two extra insurance runs in the top of the seventh inning to extend the lead to five. After Giambrone singled to begin the frame against RHP Ronald Pena, 3B Vimael Machin doubled down the right-field line to score the runner from first. With two outs, 1B Tyler Alamo singled to push the Pelicans lead to 5-0 at the stretch. The two runs in the top of the seventh proved crucial as Potomac made a crack at a comeback in the bottom of the seventh. The P-Nats brought home four in the inning to pull to within one. 1B Ian Sagdal led off with a walk and was doubled in a batter later by 3B David Masters. Then, SS Edwin Lora lashed a double down the left-field line to score Masters. After a RF Rhett Wiseman single to center and a Pelicans pitching change, LF Dale Carey cracked a RBI double to left-center and put the tying runs in scoring position. RF Daniel Johnson drove in the final P-Nats’ run of the game on an infield single up the middle. With runners on first and third and no outs, Myrtle Beach induced an unconventional 1-2-5-6 double play. The Potomac rally stopped at four. RHP Pedro Araujo closed out the game for the Pelicans the rest of the way. He tossed two scoreless innings, allowing a walk and a hit in the eighth. Potomac went down 1-2-3 in the bottom of the ninth as Araujo finished off his seventh save of the season. The P-Nats and Pelicans finish the four-game series from the Pfitz on Sunday afternoon with a doubleheader. Potomac throws RHP Luis Reyes (6-10, 4.81) in game one against RHP Thomas Hatch (4-8, 3.80) for Myrtle Beach. In game two, RHP Nolan Sanburn (4-3, 4.55) throws for The Red, White & Blue against a TBD pitcher for the Pelicans.